Well, it’s officially summer and all of my red poppies have withered away. Fortunately I managed to draw some before they finished. 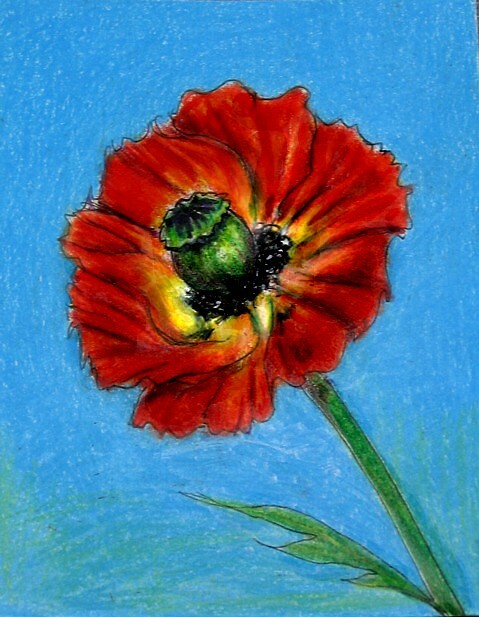 I planted these poppies 13 years ago and this is the first year that I have even considered trying to draw them. I’m very pleased with the results. I dedicate these to Sarah @ Continuous Line. Thanks for encouraging me try. 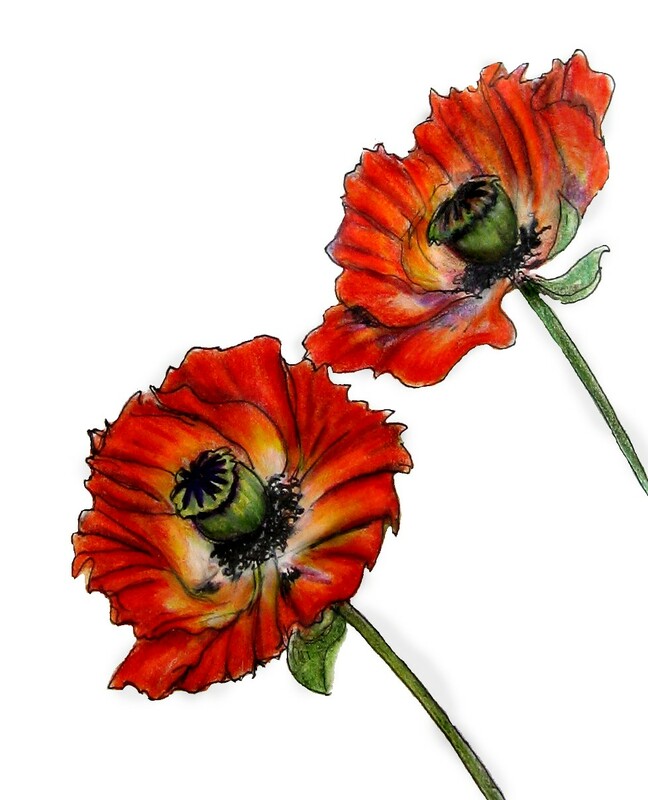 These poppies are really lovely. Very vibrant. I always feel sad when spring has gone. It is such a lovely, fresh time of year. Thanks Cathy. Fortunately as I get older, spring keeps coming around sooner. Oh how sweet of you doudy. Thank you – these are lovely drawings – the red against the turquoisey blue is just lovely.